Hey beautiful, yes YOU! Usually, on Tuesday I post about beauty related products or helping with beauty concerns. However, before you can use beauty products or feel beautiful you must have confidence. I talk alot about confidence because I honestly believe that is the key to not only feeling beautiful on the inside and outside but to life. Without confidence fear arises and stops us from being who we are meant to be in this world. Let's back it up a little so you can understand how I built the confidence to go after all my dreams and to not take NO for an answer. 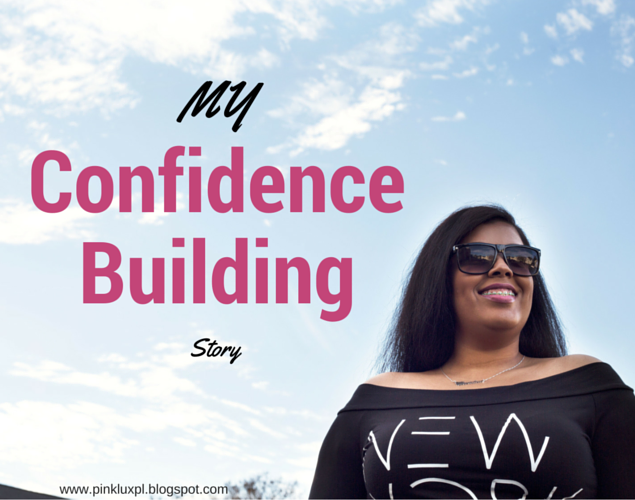 I have been contemplating sharing my story about how I gained confidence, when I decided I was worth living and why PinkLux was created. I have only shared this story with a select few but I look at you as family so I am sharing it with you with hopes it helps that one person who feels like they cannot do something or they are not good enough. Plus the best way to help family or anyone is by personal experience and I have a lot when it come to building yourself with no help. For many years no one knew I dealt with depression, lack to no confidence and many other feelings I am sure women can understand. I did not want to go to counseling because I knew God could bring me through this rut- he was my shrink. Lol How did I get to this point and how did I become the woman I am today? Growing up I was a happy kid and teenager even though I moved countless times with my family. No I was not a military brat, I was a ministers kid. I learned how to adapt to my environment and communicate well with different groups of individuals. Those two traits have helped me become who I am today but they did not prepare me for what would change my life forever. I grew up being taught to always be nice to others, have a loving heart, help others etc.. When I was a teenager we moved to a small city in the south that was not use to new people or should I say "Yankees" (using their words not mine). I didn't understand the racism because I had never been in this situation. I had attended 15 schools before this one and I had never been bullied or seen kids truly trying to hurt me physically, mentally and emotionally. Going to this school for a year really taught me how life can change but don't let it change you! I was called countless names -wet back, mixed breed, the N word, B word, told I should just die because no one likes me and more! I was also lied to when I tried to participate in school activities. There was always some reason or rule why I couldn't join a school organization or team. It was ridiculous how they were treating a child. After countless meetings with the principal, things did not get better they actually got worse. I literally went home one day and cried to my mother as I stated "I can't do this anymore, I'm sorry". I cried because I was taught to never give up, I wanted to graduate high school like everyone else, go to my senior prom and throw my cap in the air. I always imagined the day I would dress up and put on my cap and gown. Go to the field, hear my name get called.."Christina Renteria", walk up to get my diploma, take pictures and make my family proud...this never happened. I went through depression and doubting my self worth due to the bullying. I fought with myself about how I would live in this evil world, why was I alive, what did God have planned for me, and why was I going through this.. In the end I finished my education being a home schooled student because the next high school was 35 minutes away from my home. This was not all bad because I got to study in my pj's and I ended up graduating early with my high school diploma. I then went on to college and graduated college early which helped me get into my law career at a young age. So all the evilness actually pointed me in a better direction for my life. So did I have friends-NO. Did I attend sleep overs and do teenager things-NO. Did I learn a lot-YES. This situation showed me at a young age life does not have to be perfect. Going through life lessons and struggles are what make you unique. I tell you this story not because I want sympathy but because I could have easily let what happened scar me for life. Use it as an excuse to not go after my dreams, to not trust individuals, to not want to help or love people. I took the pain and now I use my story to help others so they don't have to feel worthless or lack confidence. I use it when I talk to students and adults to let them know they can make it through the storm or their situation. There were times I wanted to fight or make them feel my pain. But I couldn't change myself, this would let them win. All those questions I asked myself as a teenager are now answered. I know why I am alive, what I am meant to do and be on this earth. I created PinkLux to help ladies be the best they can be on the inside and outside because I know how it feels to feel like you are all alone and no one understands what you are going through. I understand and I know you have a purpose in life. 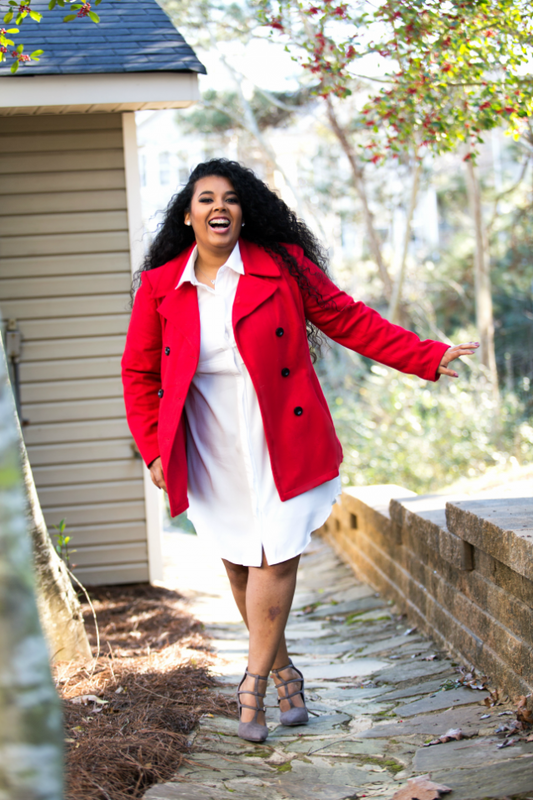 Thank you so much for supporting me and readying my journey to confidence. I love you ladies. Want help or advice? Join the private Facebook group HERE. Great post Christina! I think you are beautiful inside and out! Thank you for sharing your story!